We aim to respond with efficiency and haste to provide the ultimate in security solutions to our Nationwide customer base. The tradesman was here for just over 20 minutes fitting a multi-purpose lock and for that I was charged £152 - 40. The person doing the job was polite and efficient, but how can this charge be justified? It doesn't reflect the quote I was given over the phone. I shall go to an "independent" lock-smith in future. 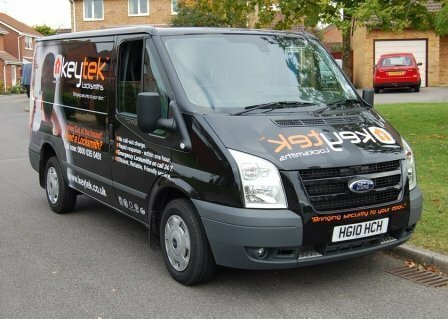 Keytek provided a very good service – apart from its cost – when the front door lock of an empty rural property failed on a Saturday afternoon. Given the travel involved, its labour charge of £140.40 (incl. VAT) per hour might have been reasonable if replacing the lock had taken less than an hour, as expected. However, it proved difficult and Keytek charged another £140.40 for the additional 27 minutes, because it charges a full hour’s labour, at the same rate, for any part of an hour – which seems exorbitant. Following our feedback it refunded half an hour’s labour, but another time we’d try very hard to contact a local firm directly. New locking mechanism on front door needed. Three keys supplied. Two other doors checked and they didn’t need new locks just wd40! Fast response, good workmanship, Five stars. Conservatory door wouldn't open as the 5 point locking mechanism had failed and the key wouldn't turn. Martyn from Keytek arrived within an hour got the door open, greased the existing 5 point lock and fitted a new key barrel. He didn't push for lots of new parts or work over the hour. 1 month on it is still working perfectly. I would definitely use Keytek again. Very happy - arrived very quickly and worked quickly and efficient to fix the problem and get door open and replace the lock, as a doctors surgery we needed to access the treatment and we couldn't have asked for better service. Front door lock replaced. Trader arrived on time as agreed and did the lock replacement well. A bit suprised that no attempt was made to repair the original jammed lock but maybe his experience told him that was a non starter. I needed the barrel in my front door lock replacing and Keytek were great. They came out the same day, left us with plenty of keys and it was good service from beginning to end. I would recommend them!